Perfect if you want to chill in Ibiza, we rented a car from the airport and the drive was about 30min, perfect deal. 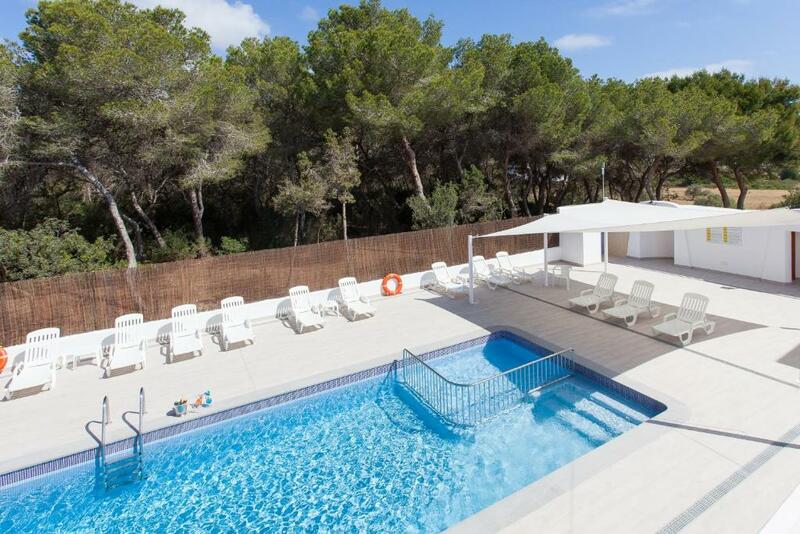 Very silent, beach is 5 minwalk, pool is perfect, parking is free 2 min walk. Apartment itself was really nice, spacious, modern and initially clean. The place was clean & tidy. We had regular (every 2 days) cleaners attend & provide clean bedding & towels. I liked the view overlooking the sea & the large balcony. Loved the apartment, bright spacious and well-equipped. Great location with lots of amenities and entertainment nearby. Big balcony right in the sun. A quiet nights sleep and a comfy bed. The size and layout of the three-bedroom apartment was better than expected and we had the luxury of an en-suite bathroom. The apartments have been updated recently to a good standard and cleaned three times in our 10 day stay. The balcony was impressive with added sunbeds although we never used them as the beach is a short walk through the pine trees. We have visited Es-Cana for many years and this is the first time at these apartments, they are more expensive than others but ideal if you need three bedrooms. We didn't use the pool as it was by Popeyes Bar so quite in view! There was a lack of utensils in the apartments but if you are not intending to cook that won't be a problem! Es-Cana is a lovely resort and we will be returning again! 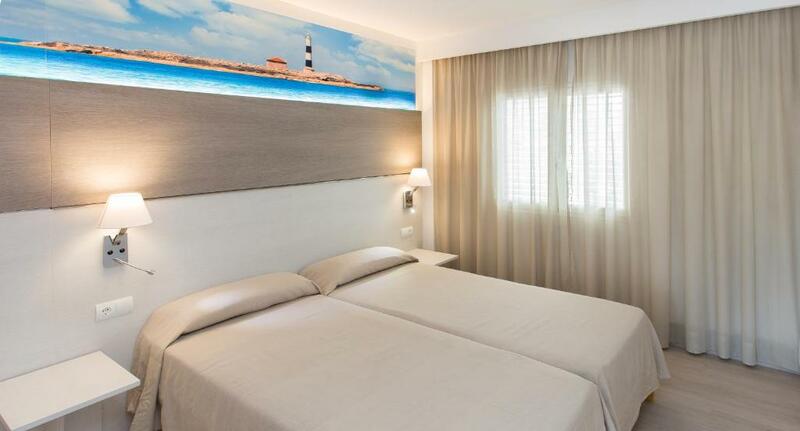 Lock in a great price for Apartamentos Art – rated 8.3 by recent guests! 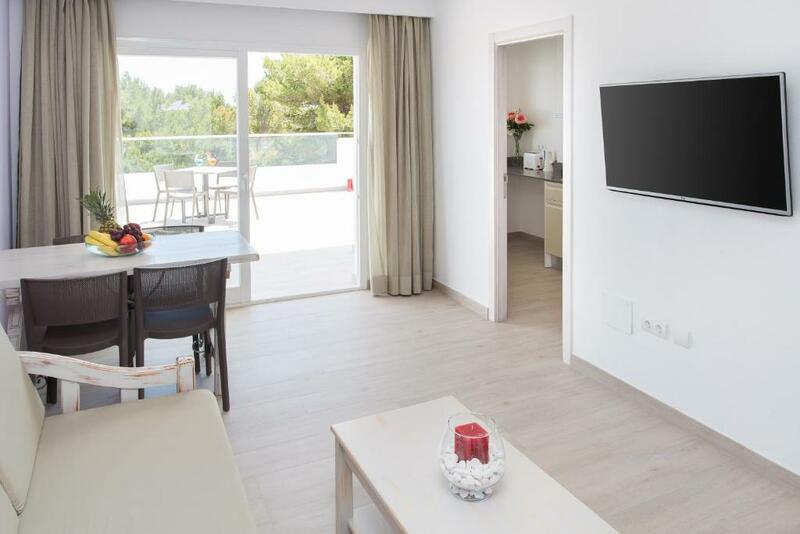 One of our top picks in Es Cana.Apartamentos Art are set just 650 feet from the beach, in Ibiza’s popular Es Caná resort. 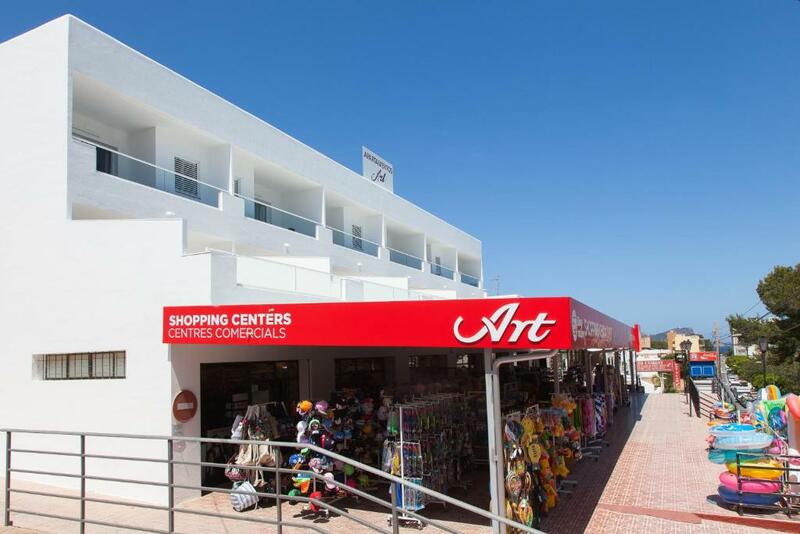 The complex has an outdoor swimming pool, sun terrace and souvenir shops. All the apartments feature air conditioning. The apartments are bright and spacious. Each apartment has a balcony, with partial views of the sea or the countryside. 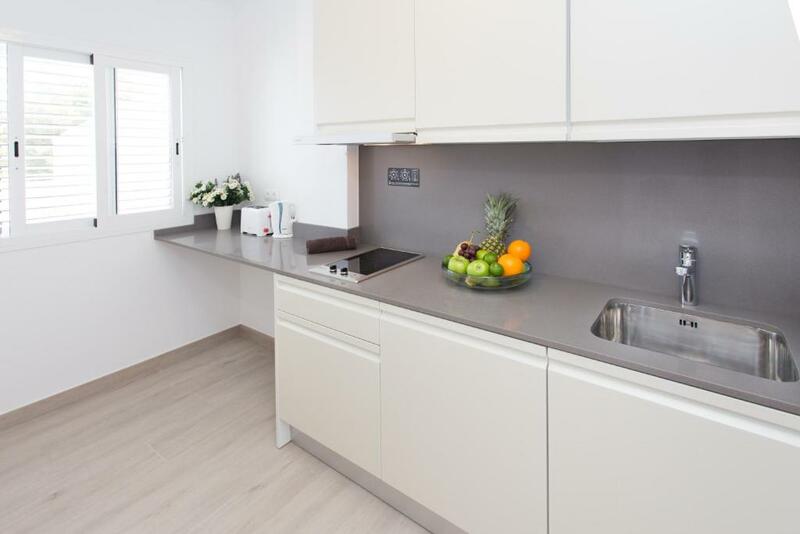 All the Art Apartments have a small kitchen area with a fridge. The center of Es Caná is just a short walk away. The town is known for its relaxed atmosphere and lively market. There is also a popular boat service from Es Caná to Santa Eulalia and Formentera. Ibiza Airport is 14 mi away. When would you like to stay at Apartamentos Art? 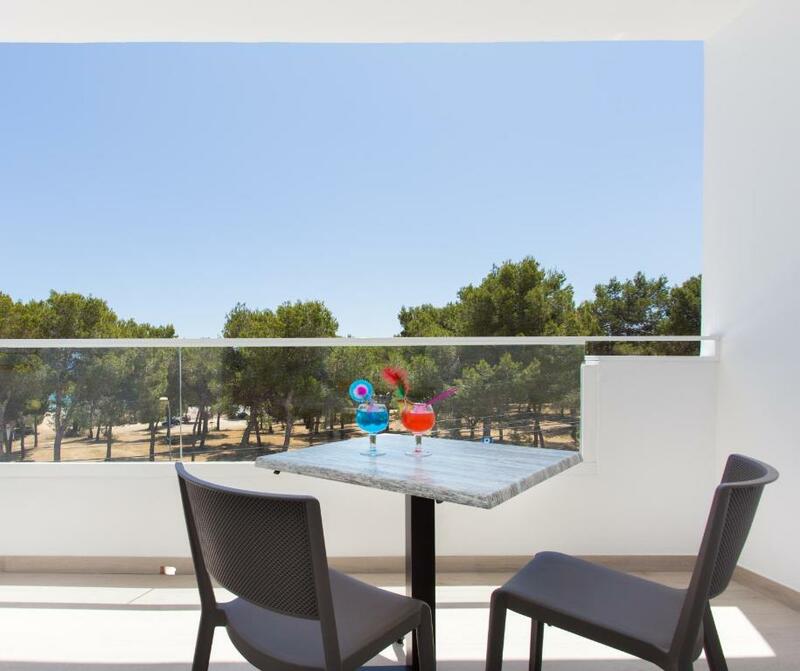 This air-conditioned apartment has a twin bedroom, a bathroom, a well-equipped kitchenette and a balcony with partial views of the sea or countryside. The spacious lounge includes a TV and a double sofa bed. 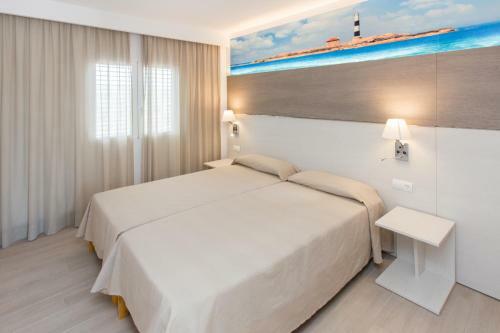 This air-conditioned apartment has 2 twin bedrooms, a bathroom, a well-equipped kitchenette and a balcony with partial views of the sea or countryside. The spacious lounge includes a TV and a double sofa bed. This apartment has 3 twin bedrooms, a bathroom, a well-equipped kitchenette and a balcony with partial views of the sea or countryside. The spacious lounge includes a TV, a fan and a double sofa bed. House Rules Apartamentos Art takes special requests – add in the next step! Apartamentos Art accepts these cards and reserves the right to temporarily hold an amount prior to arrival. Guests are kindly requested to pick up keys from the complex's shop from 9 am until 11 pm and from the Popeye Bar from 11 pm until 5 am. Please inform Apartamentos Art of your expected arrival time in advance. You can use the Special Requests box when booking, or contact the property directly using the contact details in your confirmation. The meet and greet guys was miserable and totally unapproachable - He advised of taxes @ 10 per adult but then charges for the 2 and three year old too. He just did his job no more no less. When we asked for anything he provided - so no iron in the room - he made sure we got one - beds needed changing he made sure they were. W didn't get into the apartment until after 3 as they were not ready. Very very clean when we did get in. They should have ovens AND maybe some decent sized classes and mugs but those are small things - great please great holiday. will 100% go back - may try to mak ethe meet and greet guy smile!!! Not enough pillows for the sofa bed in the lounge. Also unsure if the air con was working as couldn't feel it. 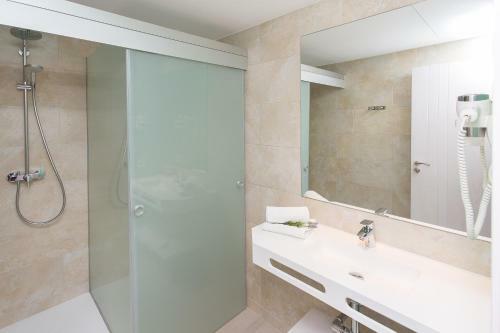 Could have done with soap in the bathroom and a separate hand towel for in there, but that's only minor. We loved the apartments and the facilities. Location was perfect for the beach and the shops. The kids had a wonderful holiday. We’ll definitely visit again. Highly recommended. Loved the location, Beach was directly across the road and the most beautiful beach Cava Nova was only a 10 min walk. Lots of choice of restaurants all within walking distance.